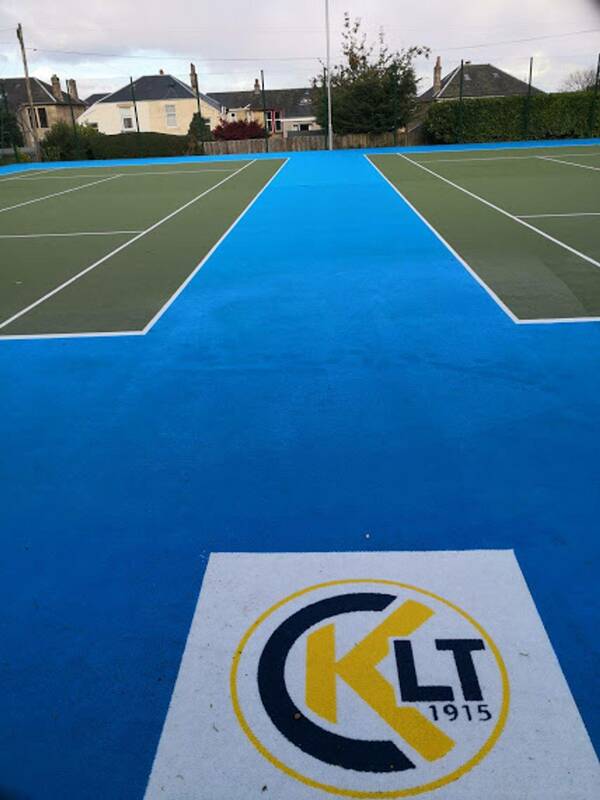 We have fabulous new facilities here at Kirkhill with courts which are ITF 3 rating which means they are exception for all levels of the game. They adapt well to all the weather conditions that Scotland throws at them and offer good visibility, speed, bounce and spin conditions for every type of player to enjoy. Stuart Clark is our level 5 coach, one of only a handful in Scotland, and with over 25 years of coaching experience. He is good with all ages and standard of player and has a great reputation as both a coach and a player himself. He has a wealth of experience of all aspects of the sport and has represented the West of Scotland County team at junior, senior and vets levels as well as being part of the winning recent Premier Division and Scottish Cup competitions. Stuart has been coaching at Kirkhill since 2015 and has built up a strong coaching programme here.. The programme is very popular and growing in strength due to Stuarts wealth of experience in every aspect of the sport and the rapport he has built with his classes for both children and adults. Stuart can offer one-to-one or group lessons to suit your timetable if you want to examine some aspects of your technique, improve your fitness levels or get some advice from top player in the game. Please contact him for more info. Why not book a gift for friend or relative with a gift voucher for a lesson with Stuart to get someone started in tennis. Vouchers are available on request. Please contact Stuart on 07939311170 or [email protected] for more information on coaching or the programme. Our next coaching programme for spring 2019 will kick off on 15 April for a 8 week block. Juniors of all abilities and adults are catered for. Half hour classes for this block are priced at £24 members/£40 non-members. Forty-five minutes classes are £32 member/£42 non-members. Hour long and adult classes £40 members/ £56 non-member. Please contact Stuart on 07939311170 to reserve your space on coaching or contact him by email. 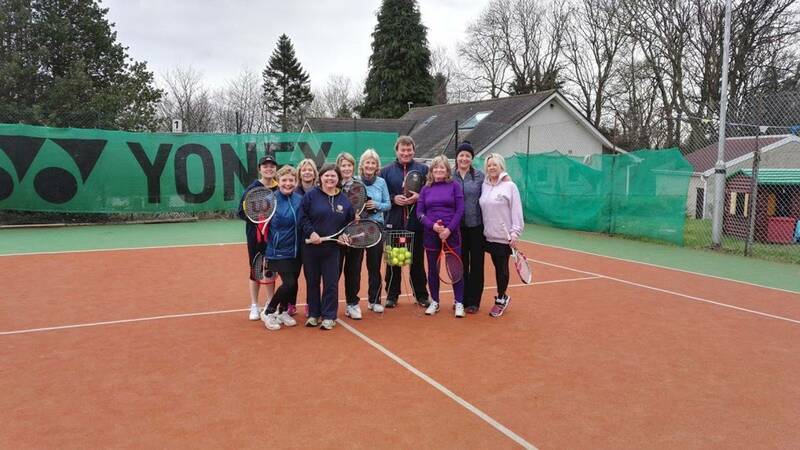 Tennis classes are entrance level tennis and improver groups. 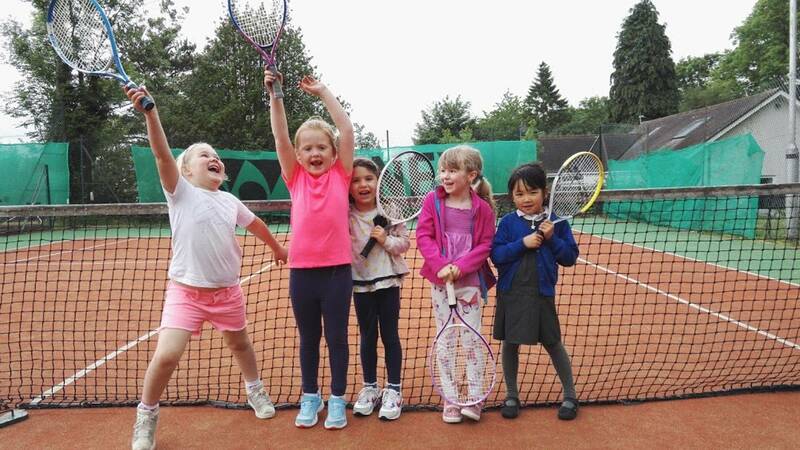 They focus on agility, co-ordination and athletic skills for tennis progression in a fun environment. Groups use different coloured de-pressurised balls which make learning easier for younger players. 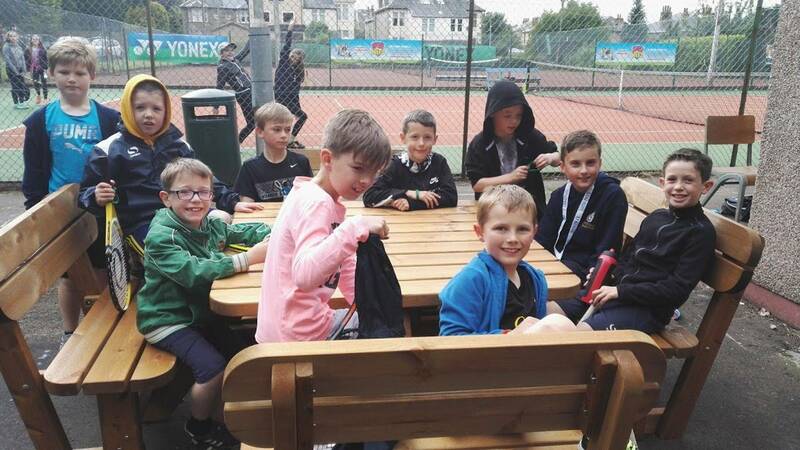 Children enjoy games and tennis drills in an informal learning environment which makes learning tennis and the rules of the game easier and more fun. Our classes are very popular with all ages and a good way to get started in tennis with a range of skills to take into games. Please contact us if your you or your child would like to try out the coaching groups before committing to a block of classes on 07939311170 or by contacting us on the form below. To encourage competitive play amongst those members who are keen to do so we are running Team Challenge events to encourage groups of players to compete in a social way. These can be in the different formats with differing age groups and aim to get players practicing and competing more regularly within the club and against players from neighbouring clubs. We have started a chess club at Kirkhill to encourage new people to come and enjoy our club and who knows they might even fancy trying tennis when they see the fun stuff happening. Find out more about the chess club here. Michael Hanley is running this club for us and is involved in many schools delivering schools and afterschool programmes. He is incredibly knowledgeable about the game and committed to teaching all over the West of Scotland. Tournaments are run regionally and nationally to improve rating and challenge a wider group of opponents. 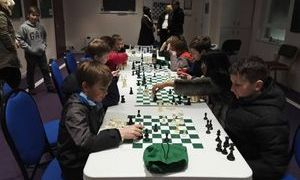 Contact Michael if you would like to give chess club a try on 07942 876090 and to book your space. Club runs from 5pm until 6.30pm on Tuesday nights and is £1.50 for the class. Membership for Chess club is £15 and is payable on this link.